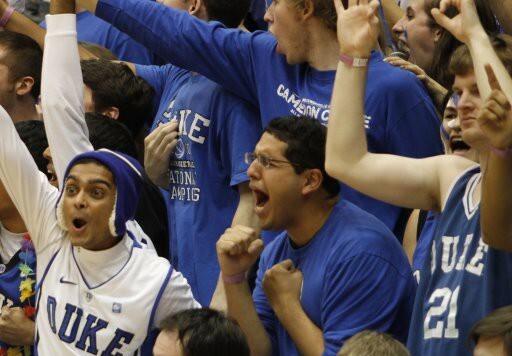 GP2 displayed the qualities that endeared him to Duke fans for four years as GP3 – leadership, toughness and poise. But he left some fodder for the haters as well with that game-sealing interception. Duke at 14? Time will tell if that ranking is too low. We here at CT like Andy Katz over at ESPN better. SLAM catches up with our starting point guard, as Nolan will be running the show this year without having to look over his shoulder. In Nolan we trust. DukeBluePlanet with a photo gallery for the jerseys that will be worn by the Blue Devils this season. Howard Hurt, captain of the 1961 Blue Devil squad, remains an athlete, at 70 years of age. We love Harrison Barnes. End of story. Though Duke was in the mix, UNC seemed to be the frontrunner all along.